The first Bledisloe Cup Test for 2018 between Australia and New Zealand, a home game as usual for the Wallabies, kicks off on Saturday night. And in the lead-up to this much-anticipated encounter, Rugby Australia, has brought on the clowns in the form of several of its most prominent players to entertain and re-assure a nervous public with their nonsense comments and insipid analysis. Here is Israel Folau, reported by Tom Decent, in an article in the Sydney Morning Herald headed, ‘Folau on a mission to put end to long-running Bledisloe woes‘. I know that to push out their pay packages the top Wallabies are supposed to be available to give media interviews when Rugby Australia deems this to be necessary to promote a Test match. And I know that Folau is an engaging person and has a superstar aura. But has he ever said an interesting thing about rugby, the Wallabies, his own play or the state of the game? He is a terrific player but why is he forced out of his knowledge and comfort zone to do the commentary work that the rugby journalists should be doing? The fact of the matter is that Folau himself is one of the reasons why the Wallabies have struggled against the All Blacks during his stint as the fullback. The All Blacks have exploited the fact that Folau has weaknesses in his game that he and the coaching staff on the Wallabies have failed to address. 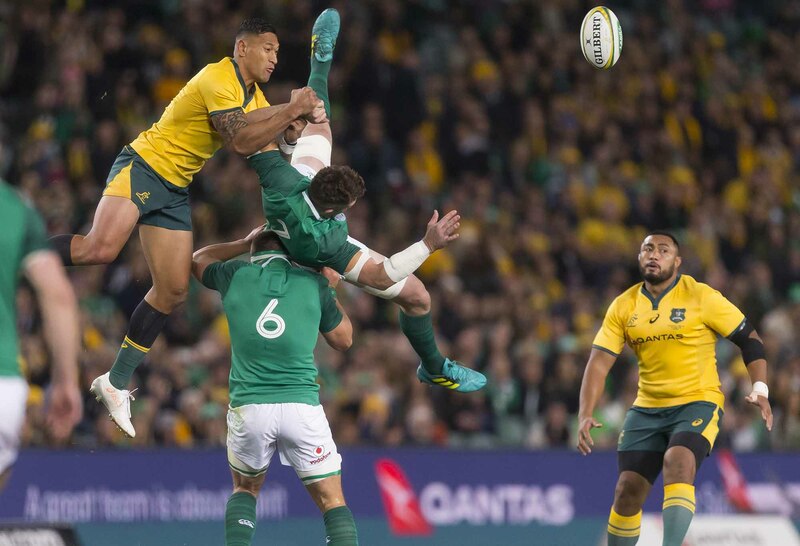 During that same interview with the Herald it was made clear by Folau that he was not going to change the way he challenged for high balls in the air, despite the fact that he was suspended after the third Test against Ireland (which the Wallabies lost, with the series) because of a dangerous challenge on Ireland’s captain Peter O’Mahony. “I believe my technique is fair play,” Folau said. Yet the evidence from several incidents in that Ireland Test is that when players were posted on the side of O’Mahony and the Irish captain was lifted, Folau was forced to jump from behind the catcher rather than in front of him. This change forced Folau, when he missed a catch, to pull on O’Mahony’s arms for his own stability which, in turn, tumbled O’Mahony dangerously to the ground. The All Blacks have said that they have prepared plans to thwart Folau in the air. Folau says he is going to continue the method that got him into trouble against Ireland. I am aghast that the Wallabies coaching staff has allowed him to maintain this approach. Why haven’t they curtailed his media commitments and given him extra work a number of aspects of his game including his aerial work, his positional play, his reading of the game and his kicking? This was a point made by Matt Burke – the best Wallabies fullback of the professional era and a consistent Test match-winner (unlike Folau) – in an important column written for Fairfax Media. He made the criticism was made (legitimately, in my view) that Folau was not a “great player” because aspects of his game, especially his kicking game, were sub-par. And to finish off this criticism of Folau’s preparation for the Test, there is his cat-and-mouse game he is playing with Rugby Australia over his next contract. He still refuses to answer questions about whether he will stay in Australian rugby after 2019, and which Super Rugby team he will play for if he does sign up for another stint. For me, this sort of commentary coming from a player is really unacceptable. Players should not be commenting about other players, even when it is favourable. What about the other players in the squad who might have hopes of filling some of the back line positions foreshadowed by Beale? I cannot understand why the Wallabies coaching staff allow comments that reflect on other players to be made by players Kurtley Beale. It is the responsibility of the rugby writers also not to be seduced by all the easy news-pap put out by the players with their clowns hats on. 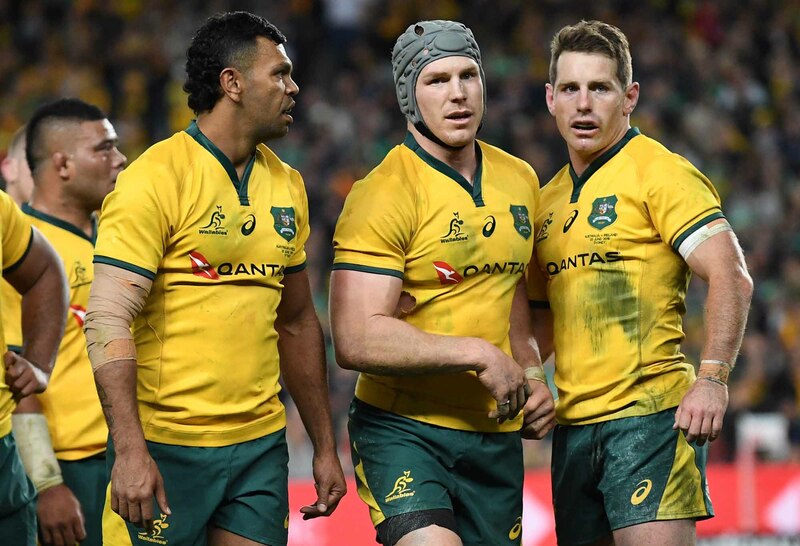 It is hard to avoid the belief that this is a ploy by Rugby Australia and Michael Cheika’s coaching staff to distract attention from real issues with the Wallabies, namely their poor Test record since playing in the final of Rugby World Cup 2015. More recently, for instance, the Wallabies have lost four of their last five Tests. They have lost the home three-Test series in 2016 against England and this year’s series against Ireland. What other rugby nation allows its players to comment so freely about their team and the players in it? Compare this largesse of clown-like commentary from the Wallabies with the tightly-controlled media exposure and commentary the management of the All Blacks allows from its players. This commentary is tough. But it is right. And it needs to be said. The Wallabies and their coaching staff are highly-paid under-performers. And, moreover, the players and the coaches, all of whom are well-paid by any measure (look at the massive five-year contract awarded to Michael Hooper, who is not even one of the top three flankers in world rugby!) have been under-performing for years. Just on this point, the key to the great success the All Blacks have had in winning two successive Rugby World Cups, retaining the Bledisloe Cup and numerous Rugby Championship wins can be directly attributed to a playing system that enables them to win Tests, often against the run of play, because of the “play what you see before you” system. This system, though, can only work if the players are supremely fit and if they are prepared to do the hard work, mentally and physically, of developing and maintaining the skills that enable break-out, ensemble rugby to be played throughout the 80 minutes of play. The Wallabies and their coaching staff, it seems to me, have coasted along in a sort of media-friendly mediocrity. They have not justified the massive payments and the generally friendly media treatment they have received. Not one of the Wallabies under Michael Cheika and his coaching have taken their play to the super-Test level of several of the All Blacks. Look at the physical gifts of Israel Folau, say, and compare them with Ben Smith. And then compare the play of the two players. Smith has become one of the great fullbacks in the history of the game. Folau has remained a supremely gifted player athletically who lacks the all-round skills and ability to read play to take him to highest levels of play. This is failure of Folau to master the skills of the fullback position is a failure of coaching (at the Waratahs and the Wallabies) and of player commitment. The great thing about rugby is that every year there is always a new series of contest and new chance of redemption for the players and the coaches. Saturday night is a home Test for the Wallabies. Real rugby teams that aspire to be contenders for top honours do not lose home Tests. Will the Wallabies respond to this challenge? Or will it a case of sending in the clowns, on and off the field?